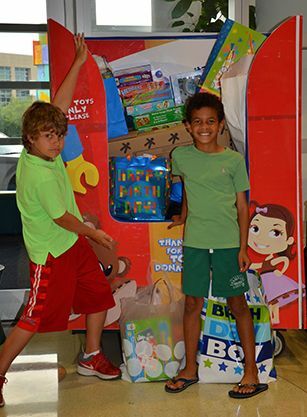 On April 27th, third graders Daven F and Emmitt D delivered donations to All Children’s Hospital. Recently, for Daven and Emmitt’s combined birthday party, they chose to request such contributions in lieu of receiving gifts themselves. Shown is a photo of Daven and Emmitt with the donated items. An extended thank you to their Shorecrest peers and their families for the generous donations!